Vasiliy Lomachenko scores a knockdown versus Jose Pedraza in their lightweight title fight Saturday in the Hulu Theater at Madison Square Garden. You or someone you know believes Vasiliy Lomachenko is just that. Is he? The answer isn’t particularly important, in part because it is difficult to prove anyone’s claim to that title. And yet this mythical title provides much of the context for Lomachenko’s career; he will be measured by his worthiness of that crown so long as he seems fit to wear it. There is nothing odd about any of that, not in a sport without the clarifying conventions of a traditional schedule and playoff structure. But it does mean that Lomachenko is held to a more exacting standard, one that becomes more exacting the more he embraces it. And that is as it should be. Lomachenko returned to the ring this past Saturday, widely outpointing fellow lightweight titlist Jose Pedraza in the Hulu Theater at Madison Square Garden. And that, too, is as it should be. Not because Lomachenko won, mind you, but because of those moments in the fight where that outcome seemed less obvious than the odds suggested. Not because Lomachenko again met his exacting standard, but because of how often he appeared not to. Better to calibrate assessments based on challenges than by their absence. It was Lomachenko’s second challenging fight in a row. In May, Jorge Linares welcomed him to lightweight with a right hand that dumped the cocky Ukrainian on the seat of his pants. As a champion should, Lomachenko recovered from the knockdown to lift Linares’s title a few rounds later (a left to the liver woven slyly into an endless combination doing the trick). Pedraza had none of the sudden, arresting success of Linares, but he fought well enough to make this much clear: Lomachenko is a lightweight primarily because of ambition, which means—should that ambition hold—we will soon find out just how good he really is. Ambition is also what saw Lomachenko, 12-1 (9), unify titles in his first fight since undergoing shoulder surgery in May. At lightweight, he has one fight more than he has surgeries and one more title too. He may not be the generational fighter he is presented as, but, to his credit, Lomachenko has wasted little time in testing the veracity of his billing. He wasted no time in testing his repaired shoulder either, throwing a right hook with his first punch of the night. Few would follow early on, however, which might be attributed to Lomachenko’s not wanting to risk his shoulder so soon, but more likely was the result of problems Pedraza posed. Lomachenko’s typically dazzling footwork was absent in the opening rounds as well, as he stalked the larger Pedraza primarily behind head movement and the force of his reputation. 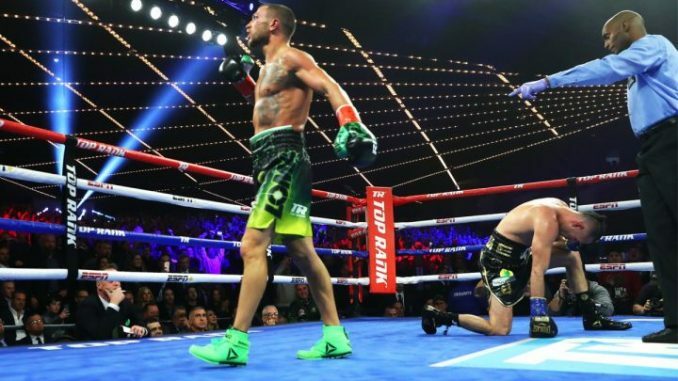 He scored effectively with counters, and even with both barrels cold kept Pedraza on edge, but much of the virtuosity that marked (and sometimes marred) Lomachenko’s previous fights was missing on Saturday night. Compelling viewing that did not make. However wonderful Lomachenko may be defensively—those almost precognitive slips and rolls, his uncanny feel for distance—these tools are only captivating when incorporated into his offense. Say what you will about a fighter who can stand directly in front of a bigger opponent without penalty, the finest practitioners of a blood sport need to do much more than not bleed. Pedraza, because of his size and the boldness it afforded him, was not going to be discouraged by the punches he missed, and rare were the moments he didn’t offer a spirited response to Lomachenko’s bursts. This is why the idea that Lomachenko should simply run through opponents he outclasses is bogus: at lightweight, size mitigates the discrepancy in skill, forcing Lomachenko to work harder and risk more for the results that once came so easily, the results he almost seemed to take for granted. And so it wasn’t until the eleventh round that Lomachenko put his frightful synergy on full display.He mixed his punches to the head and body, varied their speed and power, and used set-up punches to conceal his more sinister blows. Largely missing were the angles Lomachenko employs to find openings. To understand why, you need only see how he slashed at the air after dropping Pedraza, how animatedly he repeated the gesture following the second knockdown seconds later. There was less fire in Lomachenko’s reaction to dropping Linares—he had found the kill switch then, and knew it. Against Pedraza his celebration was short on arrogance; there was relief, even hope in it. Surely his best would be enough to discourage if not fully debilitate his stubborn opponent? It wasn’t. Pedraza, 25-2 (12), survived the eleventh and did more than that in the twelfth. Lomachenko should expect more of the same in the future. Because fellow unified champion, Mikey Garcia—whatever remains of him after his quixotic challenge of Errol Spence—is nearly as skilled as Lomachenko and significantly larger. Yet even less skilled fighters than Garcia are going to test Lomachenko because unlike Manny Pacquiao or Roy Jones or Naoya Inoue, he is without the power to unmake larger men—and that is unlikely to be lost on future opponents. There is much more to boxing than power, of course. A lack of it, though, can be a force-multiplier for the troubles a fighter who weighs his merits against the scale faces. 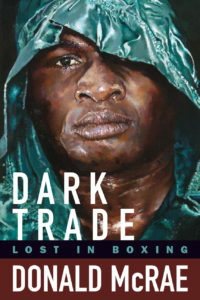 An undersized volume puncher short on power who pursues knockouts against the best may or may not be the best fighter in the world, but he’s one to appreciate regardless.